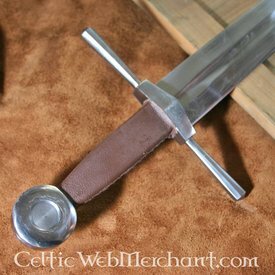 A weapon like this was used for stabbing, thrusting, or as a secondary defence weapon in duels. 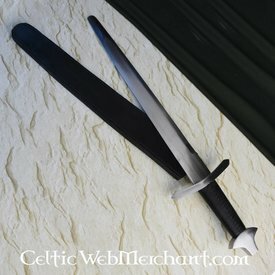 The dagger evolved from prehistoric tools, just like the battle-axe. 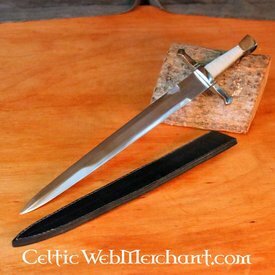 Daggers were originally made of flint, ivory or bone and are used as weapons since the earliest periods of human civilization. 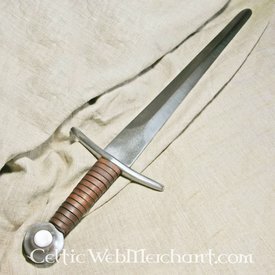 This dagger has a round dented pommel. 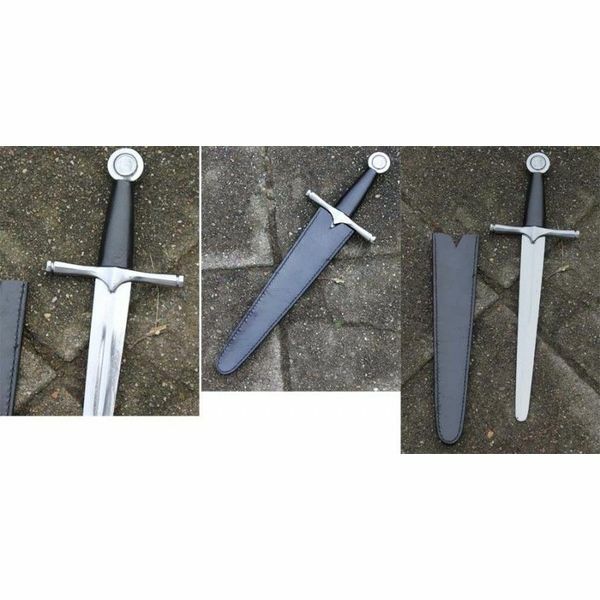 Its length is 44 cm and it has a blade of 31 cm. 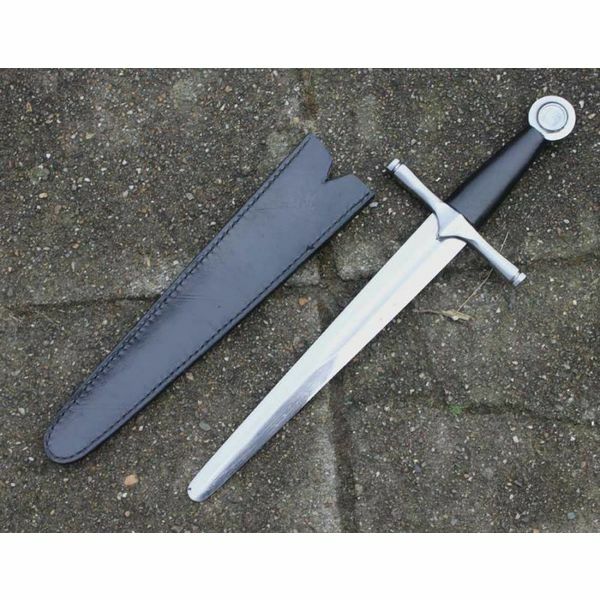 The cross-guard has a length of 14 cm and protects the dagger in a scabbard. 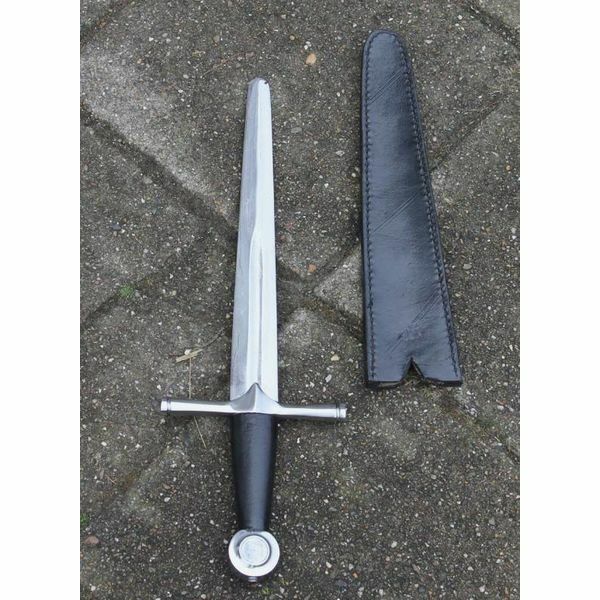 It weighs 700 g.